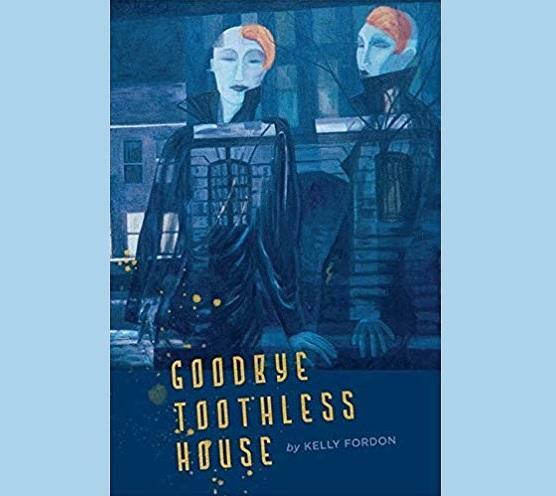 In her new collection of poems, Goodbye Toothless House, Michigan writer Kelly Fordon takes aim at the idealized facade of marriage and motherhood. Ann Arbor-based poet and writer Keith Taylor has this review for us. Listen above to hear Keith Taylor's review of "Goodbye Toothless House." lined up like dummies on shelves." Ouch! No sweet memories of wife-ing and mothering there. Since it’s early in the book, a reader who wants more sweetness and sentimentality might be thinking, “Oh, this is interesting; the poet is going to figure things out and learn to love her new family life." But Kelly Fordon is not that easy on herself, nor on her readers. Forgive me, but I find that frank admission of tedium in that situation kind of funny. Not funny in the sweet “kids are so cute” way; but funny in the “life is weird, why do we do this” way. This speaker is certainly not, or is no longer, spellbound. Wherever she has arrived, it is not reconciliation. It is certainly not acceptance or submission. It is farewell, she has had enough, and it is liberating. John Freeman's review of "The Canopy" by poet Patricia Clark. From 2005-2007, Patricia Clark was the poet laureate of Grand Rapids. Now, she's a poet-in-residence and professor in the Department of Writing at Grand Valley State University. Clark is also the author of five volumes of poetry, including her most recent work titled The Canopy. Listen above to hear writer John Freeman's review of the collection. A group of high school and middle school students in Muskegon have recently discovered the power of poetry. That’s thanks to an after school workshop led by three West Michigan poets. Dorene O’Brien brings exquisite art and unsentimental heart to the characters in her new short story collection, What It Might Feel Like to Hope, published by Baobab Press. Listen to Kelly Fordon's review of "Elemental: A Collection of Michigan Creative Nonfiction"
Wayne State University Press has released a new compilation of 23 essays by award-winning Michigan authors titled Elemental: A Collection of Michigan Creative Nonfiction. As writer Kelly Fordon writes in her review below, we are lucky to have this many extraordinary writers living in our state.